The town of Bedale sits in the north of England, and their local soccer team—Bedale AFC—wouldn’t likely make The Takeout newswire if not for their delightful uniforms (we beg your pardon, British friends, for not calling them “kits”). 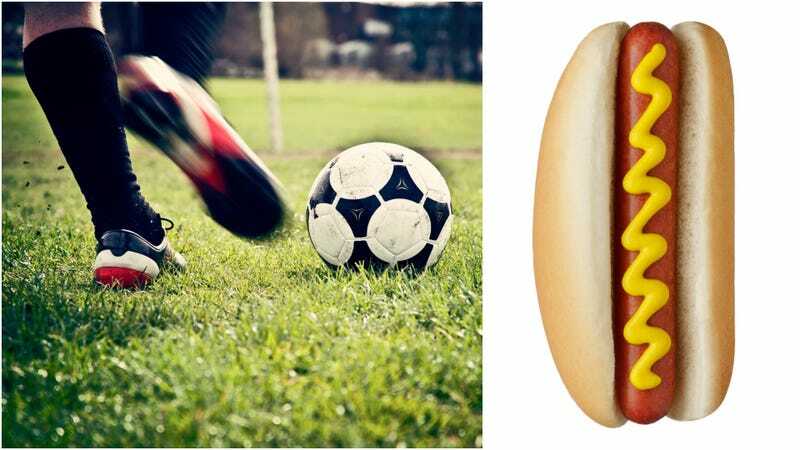 News of these hot dog-themed uniforms have inspired The Takeout staff to think: What if we sponsored a youth soccer team this fall? What should we call them? What would their uniforms look like? This is not a joke. Please leave your serious ideas below.